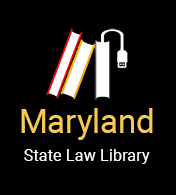 Under Maryland law, you must secure any children that you are driving in a passenger vehicle (like a Class A vehicle), a truck (like a Class E vehicle) or a multipurpose vehicle (like a Class M vehicle). Age 0-7: Any child, age 0-7, who is shorter than 4 feet, 9 inches, must be secured in a child safety seat. If a child is less than 8 years old, but at least 4 feet, 9 inches tall, they must be secured in either a child safety seat or a seat belt. Age 8-15: Any child under age 16 must be secured in either a child safety seat or a seat belt. A “child safety seat” means any child restraint device, including a booster seat, that the manufacturer certifies to meet federal standards. The law requires that you use the child safety seat be used according to its instructions, and the instructions of the vehicle manufacturer. Read the law: MD Code, Transportation § 22–412.2 The law applies to all in-State and out-of-State vehicles. The Maryland Environmental Health Bureau of the Prevention and Health Promotion Administration (PHPA) recommends that babies and young toddlers ride rear-facing as long as possible. A child should ride in a rear-facing seat until reaching the maximum weight or height of the seat. A typical infant-only (carrier style) seat may be used to 22 pounds - though a few new infant-only seats have weight limits of 30 - 35 pounds. Once a child outgrows the infant-only seat, a rear-facing convertible seat should be used. Convertible seats may be used rear-facing until 30 - 45 pounds. Always check the car seat instruction manual or labels for specific weight and height limits. Edited by Dave Pantzer, Esq.